On Wednesday, September 19, several Chicago artists received an invitation to audition for a play called Angel by playwright Henry Naylor. Angel is the second production in a series called “Arabian Nightmares”. The invitation was sent by local Chicago theatre Akvavit on behalf of Urbanite Theatre, located in Sarasota, Florida. Angel is inspired by fake news tweeted by the English-language news outlet Slemani Times. The tweet contained a photo of a woman named Rehana who was rumored to have killed as many as 100 members of ISIS. It has since been proven that though the photo, taken by Swedish journalist Carl Drott, was of a real woman, she was not Rehana, or “The Angel of Kobane” as they claimed. This story of the “Angel” has no basis in fact, and was disproved by the BBC in 2014. Rehana, “The Angel of Kobane,” never existed at all. “When we choose art for the purpose of inclusion, it’s the responsibility of every theatre maker to evaluate if the stories they tell are adding more harm or good to already marginalized groups, and if they themselves are indeed the best people to be telling that story to begin with. By programming Angel after also producing Echoes, another from Henry Naylor’s inappropriately named Arabian Nightmares trilogy, Urbanite Theatre would continue to perpetuate the dangers of a single story: that Islam is inexplicably tied to terrorism and ISIS, and that the only exceptions to empathize with are Arabs like Rehana, who is described as “western, liberal, educated” and consequently “everything they hate” in the script. Programming like this and the constant reinforcement of simplistic stereotypes in our media directly contributes to the rising amount of Islamophobia in the country. In an already homogenous community like Sarasota, I think Urbanite had their intentions in the right place by trying to bring new stories to their audiences, and hopefully they’ll take this opportunity to properly represent a wider diaspora of the Arab and/or Muslim experience.” – Arti Ishak is a Chicago based actor, writer, and teaching artist. “As an artist and an activist, I’m finding that some of the toughest work that needs to be done in the name of liberation is dismantling preconceived, racist notions created and amplified by the majority. When marginalized folks get to tell our own stories, we get to control the narrative, not only humanizing ourselves (which shouldn’t be necessary because we’re human, but I digress), but allowing for accurate depictions and celebrations of our cultures. I never saw my immigrant mother or family or motherland depicted accurately and am working hard to unlearn all the trauma that caused me. The selection of this play is unnecessary and offensive, not only in its ignorance, but the company’s laziness. 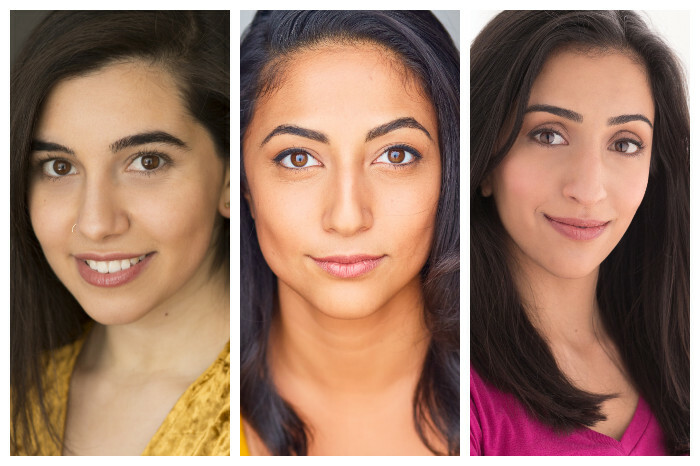 Plays written by MENA (Middle Eastern and North African) folks exist: and not only plays about the effects of the horror that has ravaged our lands, but also (and just as importantly) plays about our families, and adventure, and love. Urbanite’s selection (and Naylor’s writing generally) show that our theatre community needs to do better at rejecting the idea that Arabs and Muslims exist as a monolith of suffering and war, and instead invest in telling stories that are as complex and diverse as we are.” – Gloria Imseih Petrelli is a Chicago based actor, writer, and organizer. This is the most recent in a long line of public call outs on social media that have resulted in theaters being more accountable for their art. Speaking up is difficult and sometimes even dangerous. Yet the artists who received this notice, as well as their allies and friends, made themselves available via email, social media, and telephone to Urbanite Theatre Company in a concentrated effort to prevent them from causing harm on a larger scale by producing the play. Rescripted commends the artists and allies who spoke up. As the industry moves forward and we work to diversify the theatrical art form, these conversations will continue to be vital. Institutions should always be prepared to listen to the groups they are trying to represent, and give them a prominent voice in the telling of their own stories. Rescripted urges leaders in the industry to consult early and often with the communities represented by each piece of art before agreeing to produce it and compensating them appropriately, as Urbanite Theatre has done with some of the artists who have consulted them in this matter. Though this was a difficult dialogue for all parties to have, it was a necessary one, and hopefully a starting point for the conversations to come. Emma Couling is a Rescripted Reviewer and freelance arts journalist located in Chicago.